All genres of writing, from literary fiction to pulp western novels, depend on stock characters and scenarios which provide a basis for the reader’s involvement with the story. The challenge for a writer is to make these stock characters and scenarios come alive in their own unique and personal story which carries the reader within and beyond the story being told. This aspect of the writer’s task seems to me to be more difficult in fantasy than in literary fiction, partly because the writer needs to create a believable other world, and partly because there is no immediate connection to what we think of as ‘reality’. The simple and immediate answer is to leave well enough alone and create worlds as close to ours as possible, leaving the characters to create the sense of otherness that fantasy requires if the magic and world differences described are to be acceptable. This is the path Fahey has taken, presenting our initial glimpses into his world via matter of fact conversations that fit perfectly into the action being described. The exception to this is the preface, where Fahey takes L Sprague de Camp’s dictum to shoot the sheriff on the first page for a good stretch. It begins rather gently with the King and Queen of Arboroth deciding to have an obviously devastating ritual—the Landsreag—performed on their daughter. Fahey then disposes of Hubert, described as ‘the last free wizard of Arboroth,’ by having the very evil and powerful witch transform him into a hound. Although there is no indication as to who the witch is, we can presume that she is the daughter of the King and Queen, as she states clearly that she is doing what she is doing—killing all the people and destroying Arboroth—because the King punished her for something she had not yet done. All that remains is to dispose of ‘the child’ Catalina, whose story fills the remainder of the book. The meaning of the Landsreag and the role Hubert plays in saving Arboroth don’t become clear until the end of the book when Catalina discovers her power and takes the necessary action. This is a relatively standard fantasy set up and the excitement of the opening chapter, in which the baby Catalina is carried through a cross-over point to the world of Terras Firdel, where she is left on the doorstep of The Lost Souls and Little Dreams Orphanage, is not unexpected. As we learn about Catalina’s life in the orphanage, we also are introduced to Prince Peter from the world Mellothande. Peter also passed through a crossover point, finding himself in Arboroth where the witch turns him into a wolf and sends her hounds to kill him. Catalina remains in the orphanage for many years until her Aunt Griselda appears and removes her. From this point onward, the book gains momentum, but it is a slow, carefully wrought momentum which tells us everything we need to know, but this knowledge is well disguised as we learn about the character of Aunt Griselda, a mean and spiteful old woman whose powers advertise that she is the witch who destroyed Arboroth. As the story builds to its conclusion—the witch is destroyed and the world is restored—Peter, who survived the witch’s hounds, appears to Catalina on the other side of a crossover point, frightening but then encouraging her to escape Griselda by passing through the crossover. It is only when she does this that Catalina encounters Hubert’s one time aide, Sherwood, who had been transformed into a rat prior to Hubert’s defeat, and learns the last pieces of information needed to defeat Griselda. All too often the child hero in this type of fantasy discovers some hidden power, a power which has shown itself on and off throughout the story and which needs no training or knowledge for its use. I’m happy to say that Fahey did not take this path. Catalina’s realisation of what needs to be done to save herself and everyone else comes after specific knowledge has been given to her by Sherwood; all that was required of her was the realisation that the one thing Griselda had strived to prevent doing was, in fact, the one thing she needed to do. This sounds as though the solution is very obvious, but in fact it is not, if only because the solution does not depend on magic (although she learns a little magic quickly) but on Catalina’s understanding and sorrow. The moment when Catalina acts and all is saved (as it must be) almost slips by without notice. The moment is underplayed with a delicious subtlety, bringing to end a series of events which have been hidden in plain text throughout three quarters of the book. Despite its lack of high drama, the resolution is satisfying and, perhaps more importantly, deeply, compassionately human. As past spells are undone. Peter and Sherwood become human, and Hubert, along with his fellow wizards who had been the hounds chasing Catalina and Peter the wolf boy through Arboroth, also become human and provide some humour as they adjust to being themselves again. All told this is an immensely satisfying story in which Fahey has displayed great skill in keeping his characters simple, easy to understand and read. In all probability this is partly due to Catalina being written for a young adult market which is notoriously fickle when confronted by waffle and overwriting. Fahey, however, has managed it beautifully, and the book is just as enjoyable for an adult reader looking for something to engage their imagination with a well told human story. A last and important point is that this book was published by the now defunct Dragonfall Publishing, and is no longer available in the edition I read. 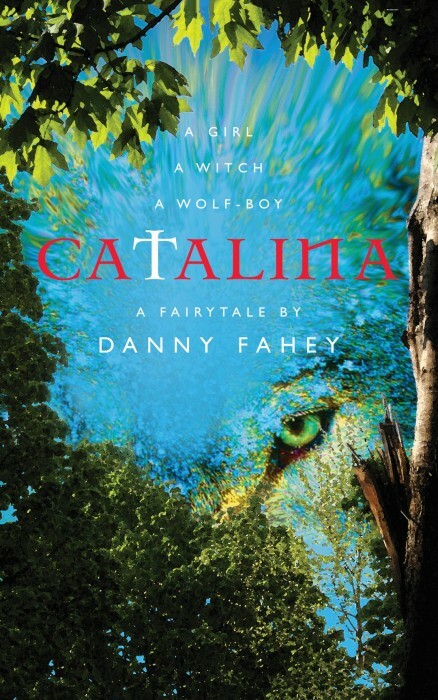 It has, however, been taken up by Satalyte Press (http://satalyte.com.au/product/catalina-by-danny-fahey/). It is due for publication in ebook and printed formats later this year, and is available for pre-order. I really did not expect a book of this quality when I chose to review it, and I thought I would be writing an epitaph as much as a review. On both counts I was happily and satisfyingly wrong.